I'm strictly a Windows and Android kinda girl. Probably due to financial constraints. But even when I do win the Publishers Clearing House $5000 A Week for Life, not a commercial, truly my destiny! I'll still probably stick with Windows and Android over Apple because it's what I know. 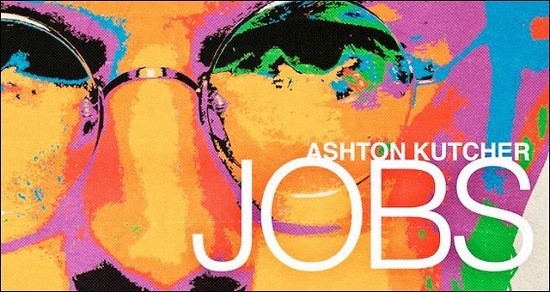 With that being said, I was still highly anticipating the biopic Jobs directed by Joshua Michael Stern. Why? Because Steve Job's life represents the world we're so immersed in on a daily basis - Technology! I must admit my original anticipation of the movie was lessened a bit by the casting of Ashton Kutcher in the title role. I couldn't see him morphing into anyone - he's so... Ashton Kutcher. But I have to give him many props! Demi's-ex really did his homework. Flawlessly mimicking Steve Job's dopey, lopey walk, the tightness of his mouth, the vocal patterns... 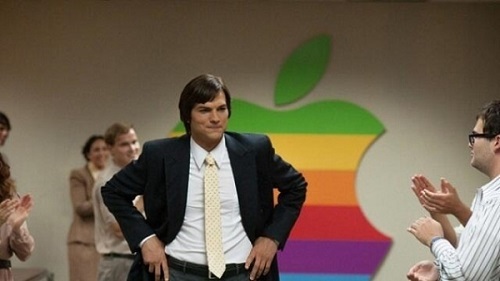 Yes, Kutcher and the make-up people did an outstanding job, bringing Job's back to life. The movie begins with the pioneer in the forum we knew him best, giving a keynote address of the next Apple innovation - this time the ipod. The familiarity of this setting easily draws the audience into the film and then we go back in time to a shoeless Job's college days at Reed College in Portland, where he dropped out, but continued to audit classes. He treats the matter as a rebellion to the system, but you wonder if it wasn't due to tuition being too expensive for his parents to bear the burden. For a running time of 122 minutes, it would seem the movie should have delved a little deeper into Job's personal life, and perhaps even dealt with slightly more technical details. I read that because he lived his private life very close to the vest, there just wasn't enough information to go on. Writer Matt Whiteley, probably made the right choice keeping things a little vague with regard to some personal issues. Biopics do have to be careful about poetic license; a really good writer like Aaron Sorkin can make it feel authentic, but a poor writer like John J. McLaughlin (Hitchcock - see T&T post) can make too much recreation - schlock. 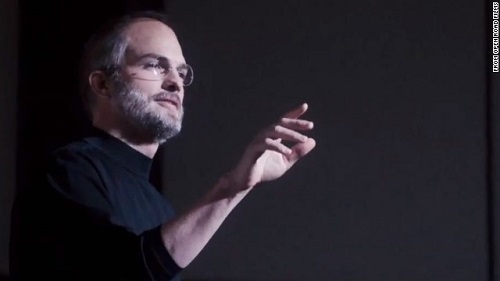 The film centers around Steve Job's ambition. 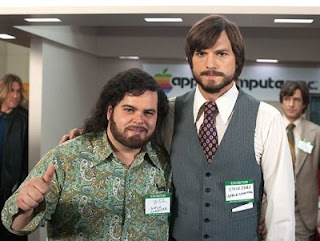 Twice in the movie, super genius geek and Apple Computer co-founder Steve Wozniak aka Woz, played convincingly by Josh Gad, asks Steve to remember why they began the venture in the first place - because it was fun, and they loved this stuff and wanted to see others loving and enjoying it too. But it's clear this was never Job's motive. He saw $$$$ right from the beginning, even cheating Woz out of $2150.00 on their first partnership. I think Jobs may have had a touch of Asperger's syndrome, attributing to his single-minded focus, obsession with perfection, lack of loyalty and disregard to others feelings. He out and out denies the paternity of his daughter, because the pregnancy came at an inopportune time for him; but then names a computer after the shunned girl. Jobs also seemed to have a huge ego, I suppose rightly so, his brain was always working - even though his vision for products created major financial conflicts with the Board of Apple once the company went public, there's no doubt in your mind that he knew his way would eventually make serious coin in the long run; the board was just to myopic to see it. But never does it appear that he did any of it just for "fun". It's a compelling film, not as compelling and involving as The Social Network, but it's a solid biopic. See it in the theaters if you have a moment, put it on the top of your renters list if you don't.